When these nodes are stimulated by acupuncture needles, they send an "S.O.S." message to the brain (neuro), and the brain will then respond by sending message to the circulatory (vascular) system to dilate (or to constrict, whatever is needed) to help heal the body by delivering necessary blood flow, immune/repair cells, oxygen, and nutrients to the area of pain. It also stimulates and rebalances the brain-body connection by regulating the release of hormones and neurotransmitters. It's been said that acupuncture has been around for about 5,000 to 7,000 years. In ancient China, acupuncture treatments were reserved only for royalty, their concubines, and their soldiers to preserve their health, youth, stamina, power, and wealth. In the past, the success of an Empire was measured on the vastness of lands conquered, number of battles won, and the number of children and concubines the Emperor had. The Emperor needed to be healthy, vital, and virile to ensure procreation with his multiple concubines. 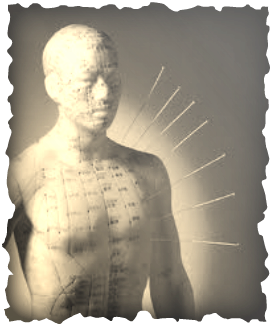 Acupuncture was employed to prolong youthfulness, fertility, and the beauty of the concubines. The more children the concubines bore for the Emperor, the more wealth and attention they received from him! To increase wealth and power, the Emperor would send out his finest warlords to conquer more lands. These warriors needed to be at their optimum health and strength. War strategists needed mental clarity and acuity to plan winning attacks. Acupuncture was the key to ensure the Empire's success, wealth, and healthy lifestyle. 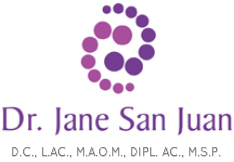 but you can certainly feel like one when you get a treatment with Dr. San Juan!